For the big Pioneer Day holiday, my family went camping in the Uinta Mountains. We camped in a group area in the Stillwater Campground, along Highway 150 on the northern side of the mountains. 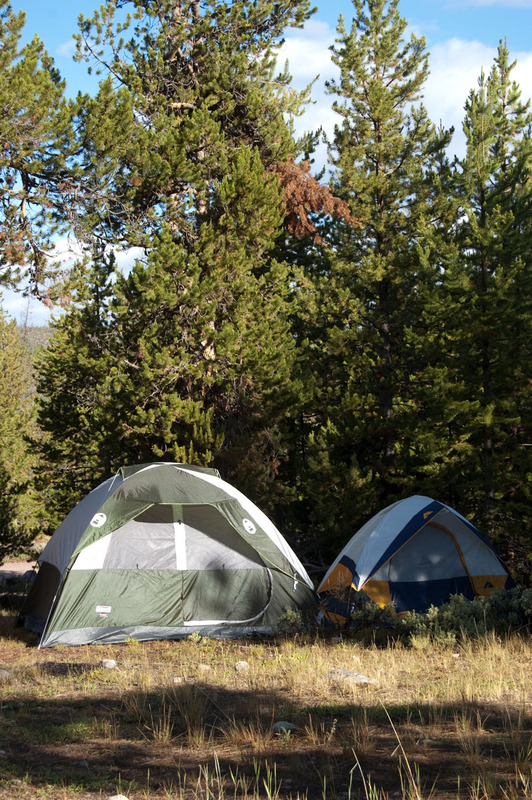 The campground features plenty of tent sites and parking areas large enough for RVs. It offers forest restrooms and drinking water. Our group has stayed in that particular campground many times over the years. We keep coming back because it is one of our favorite spots. The group areas are laid out so we can get off by ourselves, even when we have 40 people. We pitched tents amid the tall pine trees and had a great time. The area is very scenic and it is close to many spots we like to frequent. The Stillwater Fork of the Bear River flows through the campground. We enjoy fishing in that stream and also in the Bear River proper. Mirror Lake is just up the road, and we always enjoy fishing and picnicking there. Highway 150 is one of my favorite backcountry byways. We you drive it you pass close to dozens of small lakes, including many that can be seen from the road. You also pass many trailheads where hiking/backpacking routes take you to remote destinations in the High Uintas Wilderness Area. We always do a hike and this area offers several options that are great for mixed groups where there are people of various ages and fitness levels. This time we choose to hike the 3 mile round trip trail to the top of Bald Mountain, starting where Hwy 150 reaches its highest point as it climbs over the mountains. From the top of Bald Mountain you can see some 45 lakes in the distance. The hike is out and back; those who do not have the stamina to reach the summit can just go as far as they want and then rest as they wait for the group to come back, or simple start back down the trail whenever they feel like it. Most of our group summited the mountain, including some quite young children. From our camp on the Stillwater, there are adventure opportunities in every direction. I love to explore along the North Slope road, fishing the numerous streams and backpacking to remote lakes. It rained on us every afternoon, of course. That's expected in those high mountains. Utah experienced a warm, dry spring and early summer but we have now entered our “monsoon” season when afternoon showers are possible statewide and are expected in the Uintas. In the high country it can rain or hail or snow on even the hottest summer days. Prime time to explore this area extends from late July through August. Winter snow piles deep in these mountains and it is often late July before highest passes open up. The season usually ends in September, when winter-like storms become more frequent.